In June of 2013, Resorts Casino in Atlantic City partnered with the Rational Group to use PokerStars for online gaming in the state. However, PokerStars was unable to gain licensing in the state and Resorts had to put their online gambling plans on hold. Just recently, Resorts Casino announced they have partnered with NYX Gaming and Sportech, both of which are European gaming software providers. The new partnership will see the casino working with the company’s as they prepare for online gaming launch. With the announcement of the Amaya Gaming acquisition of the Rational Group, sets the stage for PokerStars as well as Full Tilt Poker to enter the online gambling market in the US. Amaya is now working with officials in the state of New Jersey to allow the poker sites to offer gaming in the state and if PokerStars were to be approved, Resorts Casino would be ready to offer options with PokerStars and Full Tilt Poker. According to OnlineCasinoReports, the Sportech and NYX Gaming companies will be providing direct software support for the Atlantic City Casino until New Jersey allows PokerStars to be licensed. The announcement by Amaya Gaming is a game changer and many feel as though PokerStars will be licensed in the state of New Jersey by the fall of this year. 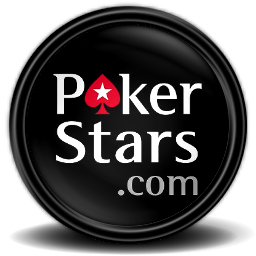 It will be interesting to see over the next few weeks what plays out with Amaya, New Jersey and PokerStars.